Very important dates are coming and you want to take a trip or you are a person who lives away from the family and want to go home for Christmas, you need to know how to get the best option for you to leave the trip as cheap as possible. Millions of people actually have the plane as the only means of transportation that allows them to reach their destination. As the dates are so much requested, the prices are shot becoming a very complicated task. Wepark through this post we will give you a series of tips to make the trip economic. It is advisable to book the trip with 45 days in advance. This will allow you to find a series of offers that if you wait longer, you’ll be sold out. It is not worth waiting for the last two weeks if you are already clear that you are going to make the trip. In special dates it is unlikely to find offers due to high demand. Most of the pages use the information of the cookies to control your navigation and to offer the same prices or more high places than the showed ones in previous sessions. Also it is necessary have to consider the prices change depending on the place. There are options to fight this problem: deleting the cookies before starting a new search, changing browser or using different computer other than the previous session. The flight search engines are very useful to look for the same route in different airlines. Examples of such tools would be: Edream, Skyscanner, Expedia, Momondo, Kayak, etc. By informing you in several places you can compare at the same time that you filter according to your needs. These tools also give you the option to choose any place to travel and show the best deals that exist at the time of search.Once you’ve found the flight you’re interested in, you can buy it through the airline page. When you create an alert on any of the tools discussed above, you will receive a notification if the price changes. This action will allow you to have knowledge of what happens with regard to the trip you are interested in. It is easy to configure, there must be an option that puts “create alerts” or similar and you only have to enter your email address. Many times we wonder how a flight that is direct comes out more expensive than to make two flights separately. Making a stopover and waiting at an airport can be a considerable enough savings to choose this option. 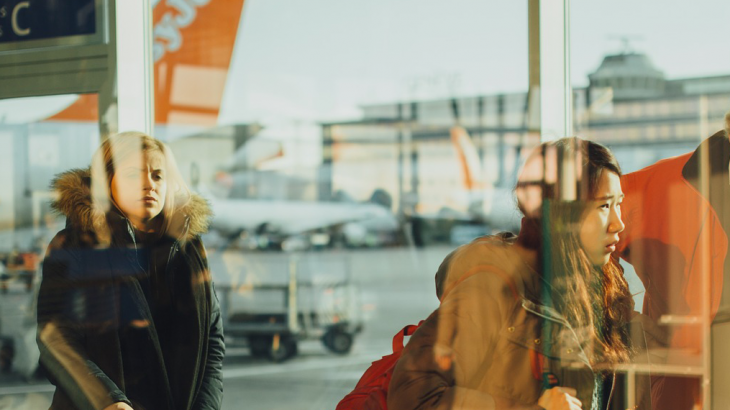 If you can save a few euros flying from another place and even having to wait a few hours at the airport, why not choose this option? It’s a trick that doesn’t always work, but sometimes it’s cheaper to buy the two tickets separately. There are flights from Alicante to Berlin for 70 euros, however, the return flight from Alicante to Berlin costs 200 euros. The amount of buying tickets with the separate route is cheaper and it is advisable to use different companies so that you can get even more economical. Find a ticket to an concrete hour just the day you want it will come out for higher price than if you do not depend on such a limited schedule, so it is advisable to take into account to advance or slightly delay your trip to get a plane ticket. It indicates where you want to go and what is your outgoing airport, but leaves the destination field unselected. It is a great advantage that depending on the circumstances you can take advantage of it or not. If you are looking to complement a cheap flight and have flexibility throughout the trip, one of the best options would be to leave the car in Wepark Alicante. Parking the car near the airport and having the option to take you and pick you up to the terminal immediately and free of charge, is an excellent option. You have to think about all the pros and cons involved in making a trip, not just buying the plane ticket. To go on vacation knowing that your car will be indoors and guarded 24 hours a day can be enough reasons to leave the vehicle close to the airport and have the flexibility that everyone wants when you make a trip.